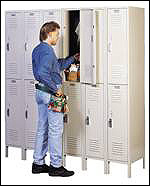 Modulex Partition Corp. distributes and installs lockers for commercial, institutional, industrial and healthcare facilities. 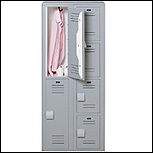 We carry a variety of locker styles and sizes including metal, plastic laminate, wood and solid plastic. We also carry locker benches. Listed below are some of the manufacturers we represent.